This short video provides a great visual reference point for how you might end up using the minutes, hours, days that make up your lifetime. What you do professionally eats up a lot of jelly beans, choose wisely! Categories: Community, Things I Love | Permalink. Has the thought of Mick Jagger just jumped into your mind? 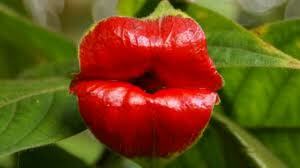 The flower known in the scientific community as Psychotria-Elata is only found in the Amazon. About a year ago I was invited to help out with an Eagle Project. The task at hand, clothing distribution at a lot in Downtown Detroit, would begin my first year of service at PBJ Outreach. Every Saturday for 11 years this group of volunteers deliver food, clothing and human dignity to anyone that shows up at barren lot in the Case Corridor of Detroit. To participate is to experience the best and worst of the human experience. This is true of the people on both sides of the “table”. The table and the “take line” require a bit of explanation. As the group arrives there are 2-300 people waiting in line. Like a well choreographed play, a half-dozen pick up trucks arrive at the lot. Tables are unloaded and set in neat and tidy rows, posts are pounded into the ground and a line similar to what you find at Disney is set up. Organization is created. For an hour the world stops and the lot becomes a welcoming, warm place. The affluent from the suburbs mix and mingle with those that call the streets of the city their home. Food, clothing, smiles, hugs, conversation, and eye contact is exchanged. To share in this experience once is moving. Returning for most Saturdays over a year the experience has enriched my life in ways I would never of imagined. The lessons have come in so many forms. My role with PBJ would not be behind the comfort of a table, but instead out on the lot interacting. Handing out cough drops would be my conversation starter. As I walked the line, week after week, handing out cough drops and Kleenex, my lessons began. The first came in the form of the cough drop pocket. It is hard to take a cough drop when you have several bags in your hand. But where do you really want your cough drops? The front pocket of your coat ,right? So it started, each chance I got I asked “can I slide a few cough drops and Kleenex in your pocket for later? ” I can not put words to the reaction this simple gesture received, many could not believe I would be willing to reach over open the flap to their pocket to drop in a cough drop or two. First lesson received. The willingness to do something as small as sliding a cough drop in someone’s pocket can make their day, never underestimate the power of small acts of kindness. The next lesson… kindness like water will flow into all cracks. Building trust and rapport takes time and effort on the “lot”. I knew I had become a regular when the guys in line started to call me the “cough drop lady”, a title I am quite proud of. Many in the line started to ask for more than their share of cough drops. My first reaction was to resist, but instead I reached back into my stash and gave them a second handful along with a request. I asked that they take the extra andthat find someone I had not met and share one. What I never expected is that I would actually start to hear the stories of where the cough drops would end up. Week after week I would be brought the stories. A cough drop given to a buddy at the Veterans hospital that was not doing so well. On another occasion, a cough drop taken home to a sick wife that had been in bed for week. With no prompting the stories came back of where those cough drops had gone. BTW, I learned that a cough drop in a cup of hot tea is nice. A group of the guys use them this way when they hit a food kitchen at night for a hot meal. No matter how bad our situation gets, most of us have the desire to help each other out and share what we have. The most important lesson has been how strong faith is on the lot. The demographic of the group are depressing, a third are addicted to something, a third suffering from mental illness, and the last third have slipped into a series of negative circumstances. In spite of any or all of this, there is a great eagerness to share in prayer, extend well wishes, and connect on a personally uplifting level. I read the paper, listen to the news, ect. I know there are many reasons to not get up and go on a Saturday morning. Blessed am I for pushing through the fear and reservation and sharing in the PBJ experience. 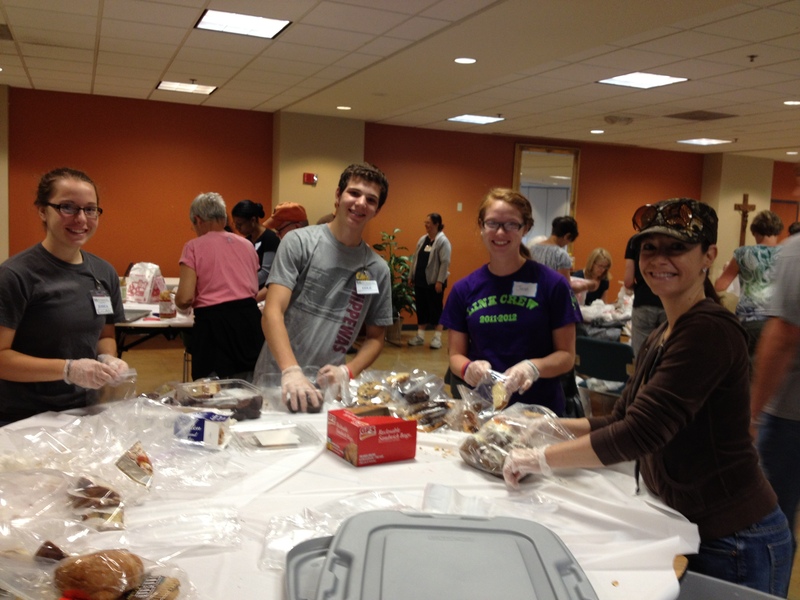 Categories: Community, Things I Love | Tags: CharlotteByndas, Homeless, Hungry, PBJOutreach | Permalink. More than waves a swimmer cleaves. This poem discovered in a book discarded along with a couple hundred books I am prepping for delivery to a homeless shelter. It was the found “treasure” amongst the pile of discarded items. Categories: Things I Love | Tags: Poems, Things I Love, Woods | Permalink.